Little, Brown Books for Young Readers, 9780316314596, 400pp. "The slowly revealed lore of the demons coupled with Dee's adventures make for a whirlwind of a page-turner. Readers will devour this romantic, Faustian fable. A dark fantasy brimming with passion and peril." 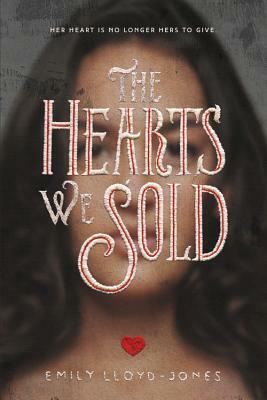 "A completely original story that shatters the boundaries of YA fiction. Magic, mystery, and intrigue, paired with Jones's devilish story-telling ability, will bind readers to The Hearts We Sold until the final explosive ending." "[Entertaining] and unpredictable. An action-packed adventure with a charming criminal crew." "Lloyd-Jones deftly weaves several plot strands, using flashbacks to impart background information. Snappy dialogue and harrowing action scenes move the twisting plot along and maintain suspense throughout...A must-read for fans of intrigue and superpowered villains."